The Torres Chess and Music Academy is constantly at work making sure the events we offer your children are the very best in California. 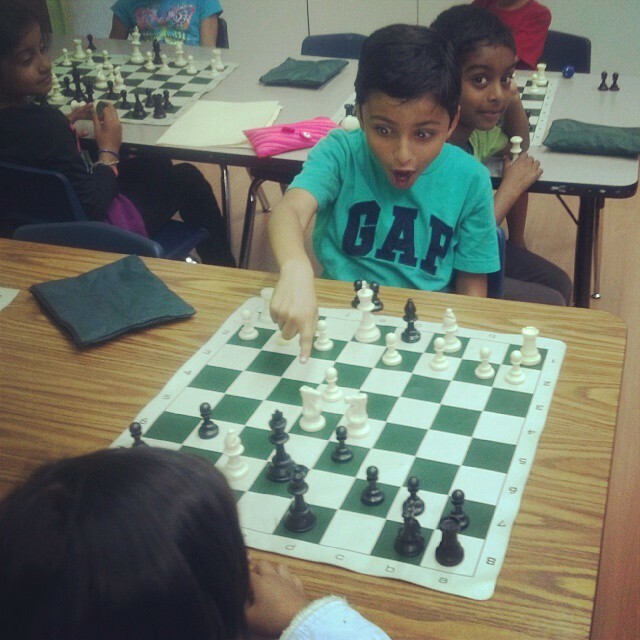 Below are some images from week 3 of the 2014 Fremont Summer Chess Camp. 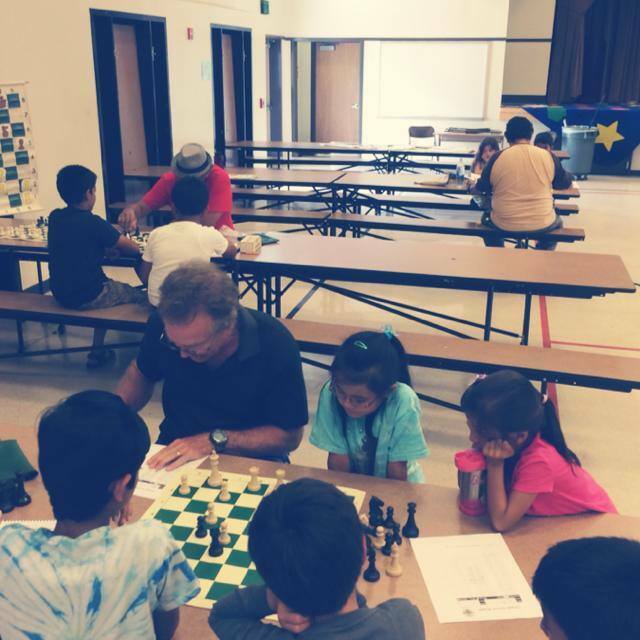 There is still one more week left in our chess camp at Mission San Jose Elementary School which will feature instruction from International Master Emory Tate and Grandmaster Susan Polgar. Click here to register for week 4! Our camp is filled with a diverse group of students who all love chess. 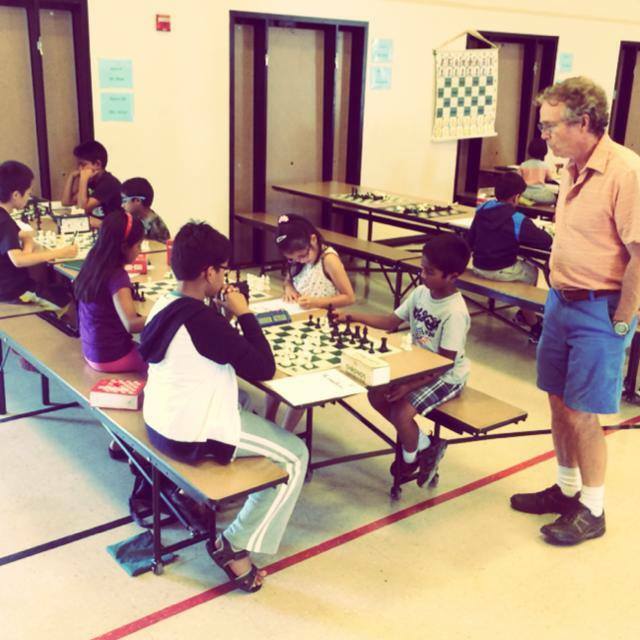 Joe Lonsdale is a legendary chess coach who brings decades of teaching experience to our camp daily. International Master Emory Tate enjoys teaching as much as his students enjoy learning. The Fremont Summer Chess Camp features a USCF rated chess tournament with prizes so that our star students have an opportunity to shine. When the kids finish their rated games they are treated to personalized analysis from the best minds in the business. 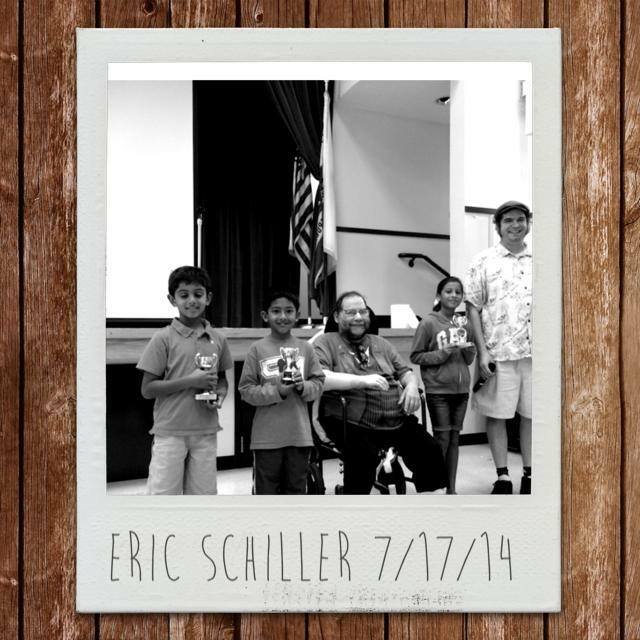 Famed chess author Eric Schiller stopped by on Thursday and presented seven of his best chess games to our students. After his brilliant performance, Eric graciously handed out our weekly awards and signed autographs. Our Fremont Summer Chess camp even had its own book fair. Take a moment to check out my report on weeks 1 and 2. Throughout its 39 year history, there have been many great leaders who organized the Calchess Scholastic State Championships. Each of them has led with unique talents and in different circumstances. Tonight I present to you my brief interview with one of the best chess promoters in the history of California chess, Salman Azhar. 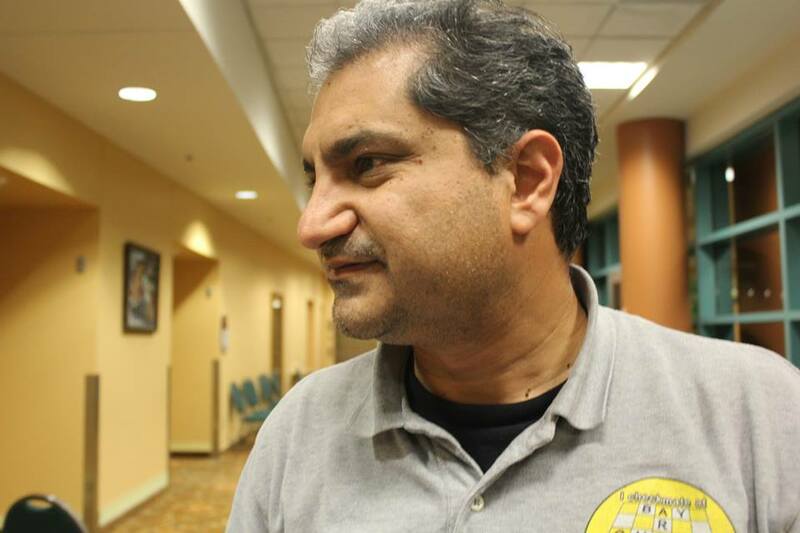 One of the best chess promoters in the history of California chess, Salman Azhar. When did you first learn how to move the chess pieces? I first learned to move the pieces when I was four. My father and brother taught me how to play chess. Why did you decide to get your boys involved in chess? My oldest son started to learn chess Weibel and at a class taught by you. He was inspired by you and his other teachers and joined Weibel Chess team and went on to win many state championships for himself and help Weibel keep its winning streak alive in 2004. Congratulations on Aamir(Salman’s oldest son) being recently accepted to Duke, Berkeley, and other schools. Do you feel chess has helped him in his scholastic career? Chess has definitely helped him develop his analytic skills and logical thinking. He lost interest in competitive chess some time ago because he was targeted by some parents and coaches due to local chess politics. Who first convinced you to start organizing tournaments? Dr. Alan Kirshner hand picked me to run tournaments and was instrumental in my success. I owe much of what I have learned about organizing tournaments to Dr. Kirshner. Why do you think Alan chose you? I believe he said I was a, “combination of someone who is thorough and also who can interact with the people in a professional way.” I am honored to be his protege. A happy Alan Kirshner standing with Salman Azhar at the 36th Calchess Scholastic State Championship. This will be your seventh consecutive year organizing the Calchess Scholastic State Championships . What have you learned from running this tournament? <smiling> As Richard Shorman said, “You will know the true nature of people.” I have learned a lot about human psychology and behavior and also developed the courage to do the right thing regardless of personal gain, external threats, financial temptations, and other things that cause many good people to lose your integrity. Your name has become synonymous with quality tournaments. How has that changed your life? There are many excellent organizers all over the world and I have a lot to learn. However, I do enjoy people coming up to me in restaurants, grocery stores, business meetings, and other places to express their appreciations. It helps me sleep better at night that I have given something back to the community that has given me so much. One of your detractors was an individual who used to be your mentor and most vocal supporter. Why do you think that is? I cannot speculate on someone else’s intentions but I have a lot of respect for him and have learned from him. I hope some day we overcome local adult politics and realize that scholastic chess is about children. What is your advice to parents who have children who are currently attending Weibel Elementary School? I don’t like to advise people who don’t ask for advice but I have always welcomed Weibel players and their parents at my tournaments. They should rise above the local chess politics and do what is best for their child(ren). Why have you decided to rename the Calchess Scholastic State Championships the Calchess Super States? This is patterned after National Super States indicating that it is a championship sections encompassing all grade levels. Many other states have separate elementary, junior high, and high school champions or Super States where all sections are in the same tournament. Why do you think that you have become the most popular tournament organizer in the history of California chess? You are a great danger to my desire to be humble, aren’t you? I see many shortcomings in every tournament I run and perhaps recognize them with humility so that I can improve the next time. This pholosophy has made me get better. What is the funniest moment you have ever experienced while running a chess tournament? Most of them center around children trying to get out of touch move rule but the funniest was a child whose excuse was that he accidentally picked up the King to dig his nose. What advice would you give to someone who plans on running their first large chess tournament? Run small tournaments first and have a person who has run large tournaments watch your back when you run your first one. That his how my mentor and friend, Dr. Alan Kirshner, taught me. You are also heavily involved in the High-tech industry? 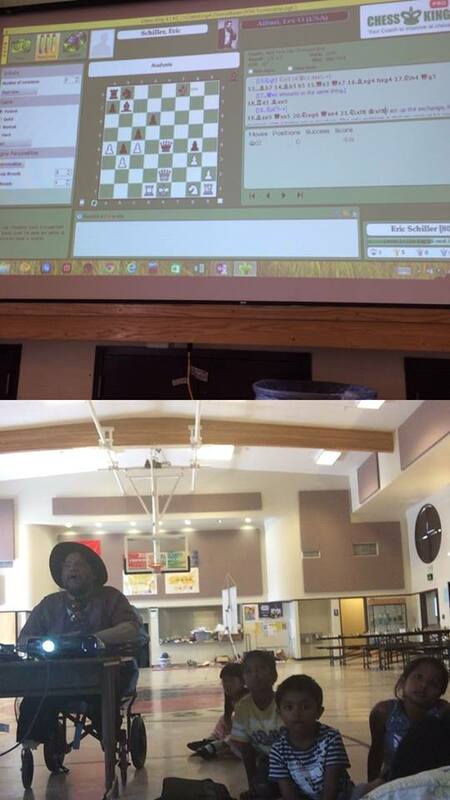 How do you think technology will change scholastic chess tournaments? What will a chess tournament look like in 20 years? Yes, I am. I think computer analysis has already influenced the development of players. I think it is changing interactive teaching as well. Coaches like you are using iPads in their class. All this will help players get stronger much faster. However, I am concerned about taking the fun out of the experience of learning. I also think we will also see more online play but nothing can replace the social aspect of coming together physically for a tournament or a class. The President of the TCAMA reports on an upcoming Open House Event in Northern California. On November 2, 2013, the Torres Chess and Music Academy will be having its annual Open House in Fremont, California. The TCAMA Open House allows children the opportunity to take part in an afternoon of classes with the Torres Chess and Music Academy. The festivities will begin at 1:00 pm at Achiever Institute in Fremont with an exciting hour long chess lesson. Directly following the lesson, children will be treated to a brief classical guitar concert by Doug Torres. After the concert, the children will be paired up to play a rated game of chess against one other opponent. Once the game concludes, Torres Chess and Music Academy teachers will explain to the players where they could have made better chess moves and how to avoid making the same mistakes again. Chris Torres will then advise all interested parents on the best course of action for improving the chess skills of their children. Since 1998, Chris Torres has been providing his critically acclaimed chess instruction to children in the San Francisco Bay Area. Widely recognized as one of the main driving forces behind the popularity of scholastic chess in the Silicon Valley, Chris Torres has also taught numerous national champions including the 2013 National Elementary Chess Championship team from Mission San Jose Elementary School. With fifteen years of teaching experience under his belt, Chris Torres looks forward to helping even more children achieve their chess goals this school year. Doug Torres has been teaching classical guitar at Ohlone College in Fremont since 1969. Doug’s guitar work has been a part of numerous acclaimed recordings and many of his former students now are professional guitarists themselves. Well versed in all styles of guitar performance, Doug has also won the national championship on his steel guitar and authored several guitar instruction books. The TCAMA Open House at Achiever Institute in Fremont is an ideal opportunity for Bay Area residents to enjoy both chess and classical music with their families. There is no charge for admission and snacks will be provided for all attendees. Those interested in attending should RSVP by sending an email to hello(at)achieverinstitute(dot)org or by calling the Achiever Institute at 510-226-6161. 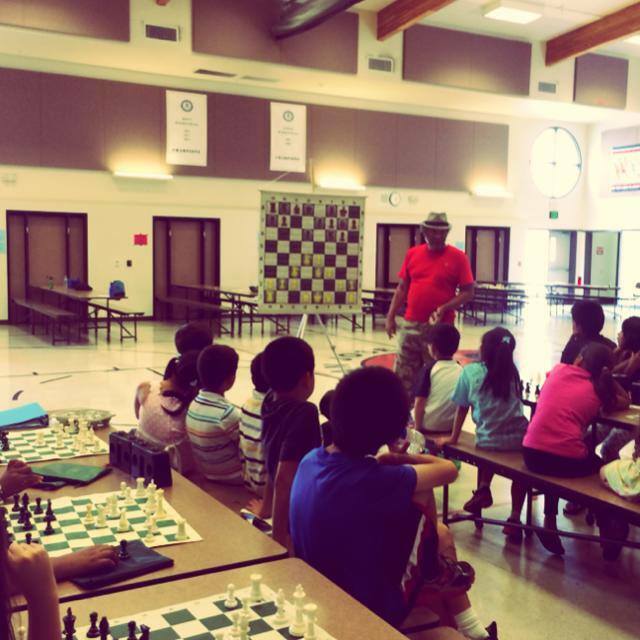 Chess students in Fremont get exciting lessons from Chris Torres. Chris Torres: A Chess Coach, a Music Teacher, and an Advocate for Quality Education. Chris Torres has been successfully managing and creating school chess programs for his entire adult life. His most recognized accomplishments include the co-founding of Success Chess Schools, the creation of the Torres Chess and Music Academy and consistently coaching the best young chess players in California for 15 years. Chris Torres is California’s chess coach. Dr. Alan Kirshner needed a replacement teacher for his famous Weibel Chess Club. Chris was an obvious choice beause he had been teaching Alan’s son classical guitar and often played chess with the Kirshners. Soon after joining a group of chess instructors at Weibel, Chris coached his first state champion student. Copying from the success of the Weibel Chess Club, Chris went on to establish State Champion chess programs at Argonaut Elementary School in Saratoga and the Harker School in San Jose. Shortly later, Alan Kirshner promoted Chris to Vice President of Success Chess and Chris turned all of his independently run programs over to the newly formed nonprofit. As vice president of Success Chess, Chris Torres established chess programs and taught chess at schools all around the Bay Area. Many of the schools still have chess programs to this day. 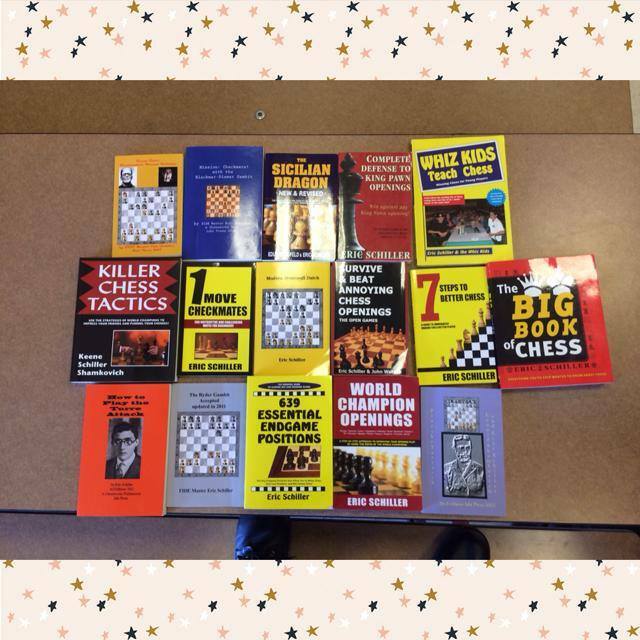 Some of these chess programs are at: Warm Springs Elementary School(Fremont), Leitch Elementary School(Fremont), Mission Valley Elementary School(Fremont), Ardenwood Elementary School(Fremont), Gomes Elementary School(Fremont), Blue Hills Elementary School(Cupertino), Collins Elementary School(Cupertino), Dilworth Elementary School(Cupertino), Muir Elementary School(Cupertino), Regnart Elementary School(Cupertino) Matsumoto Elementary School(San Jose), Meyerholz Elementary School(San Jose), Silver Oak Elementary School(San Jose), Covington Elementary School(Los Altos), Duveneck Elementary School(Palo Alto), Palo Verde Elementary School(Palo Alto), International School of the Peninsula(Palo Alto), Gideon Hausner Jewish Day School(Palo Alto), Laurel Elementary School(Atherton), Las Lomitas Elementary School(Atherton), John Muir Elementary School(San Bruno), Crestmoor Elementary School(San Bruno), Dougherty Elementary School(Dublin) and quite a few other schools. 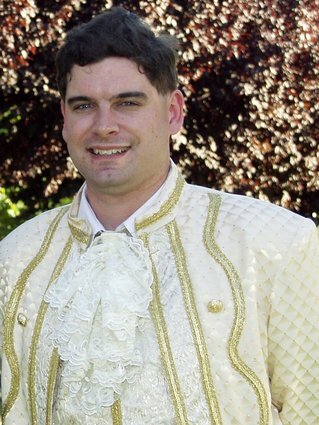 During his time at Success Chess, Chris Torres also became a notable tournament director and a board member for Calchess. Through Success Chess, Chris Torres was able to achieve his goals of bringing scholastic chess to children all over the Bay Area. After leaving Success Chess Schools in 2004, Chris Torres spent several months working for Richard Peterson of the Chess Education Association. After the school year concluded, Richard suggested to Chris that he set up his own organization and offered to sell all of the chess equipment from the CEA at a discount price. A couple months later, the Torres Chess and Music Academy was born. Through the Torres Chess and Music Academy, Chris Torres has brought world class instruction to California’s most talented young chess minds. Some of his accomplishments included running a “Chess Study” with the Kern County Superintendent of the Schools and U.C. Berkeley from 2006-2008. In addition to the study, Chris was able to educate the children in Kern County’s migrant farm worker community in chess and even coach them to prestigious Southern California regional chess titles. In the Bay Area, Chris was able to instruct several individual National Chess Champions as well as coach for the Mission San Jose Elementary School chess team alongside Joe Lonsdale, which in 2009 and 2013 took first place at the USCF Super Nationals Chess Championship. To date, no other elementary school from California has ever placed first in the Elementary Championship division of the USCF Super Nationals. Acknowledged today as a pioneer in the field of chess and education, Chris Torres has been invited to speak at numerous educational forums and events. Aside from his reputation as a successful chess teacher, Chris is also known throughout the Silicon Valley as a top notch classical guitarist who still finds time to teach groups of youngsters the enjoyment of playing classical music. 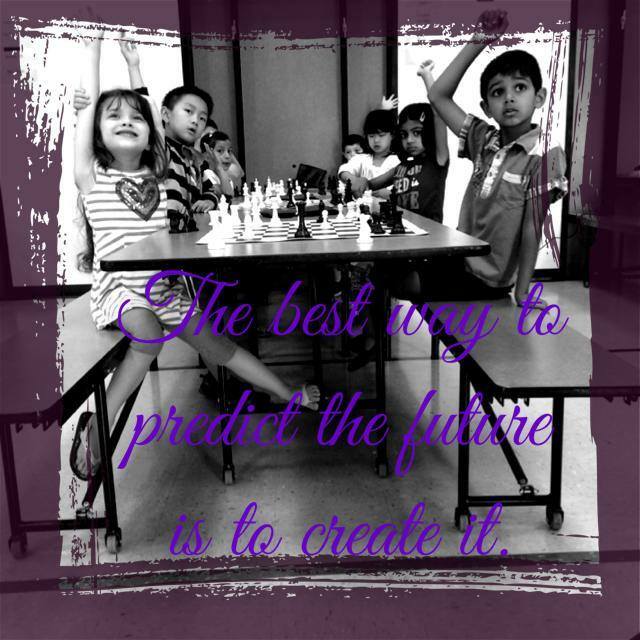 There are many reasons why the Fremont Summer Chess Camp at Mission San Jose Elementary School is the perfect choice for your child. One, however, has little to do with chess. Students studying chess at the Achiever Institute in Fremont, California. The President of the TCAMA details the most important considerations in choosing a summer chess camp for your child. 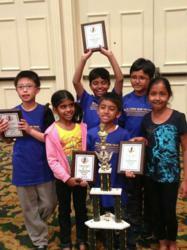 Proud member of the MSJE Chess Team at the National Championships. Winning is contagious and the Fremont Summer Camp offers your child the unique opportunity to train with national champions. Youth chess has never been more popular in the Bay Area and this summer there will be approximately thirty different chess camps all trying to entice the next Viswanathan Anand to attend their offering. With so many choices, chess parents have a difficult chess problem to solve in order to figure out which chess camp would best suit their child. First off, parents should look for a chess camp that is run by reputable organizations. For instance, the Torres Chess and Music Academy is a nonprofit organization that was established in 2005 and has run a chess camp at Mission San Jose Elementary School in Fremont for five straight years. Choosing this camp for your child will lower the likely hood that classes end up being cancelled for low attendance as has happened with chess camps run by other groups. Parents should put their child’s safety first and look for qualified teachers who have had background checks completed before they work with children. The Torres Chess and Music Academy hires the very best local chess instructors to teach at the Mission San Jose Elementary School Chess Camp in Fremont. All of our coaches have taught for years and have passed several background checks. Chess masters from out of the region may not been fingerprinted to deem them safe for working with your children. Parents should be suspicious of chess camps that offer instruction from Grandmasters who do not normally teach chess. Chess players with fancy chess titles are nowhere near as effective of educators as instructors who teach chess full time. The Torres Chess and Music Academy has several professional chess coaches with decades of experience. Four of our coaches assigned to the Fremont Chess Camp have taught either team or individual national chess champions within the last few years. The reason for the unprecedented success of the Torres Chess and Music Academy’s coaches is that our highest priority in chess is teaching your children. Another important aspect in choosing the right camp for your child is price. A higher price does not necessarily equate to better quality and a camp that is very inexpensive may have several hidden costs involved. The Torres Chess and Music Academy prices its camp at $185/week. We feel nonprofit chess organizations should not be trying to “make a profit” by charging excessive tuition to chess families trying to send their child to camp. Because the Torres Chess and Music Academy is very active year round we can use our popularity to pass savings on to the families that sign up for our chess program. You will not find a better value in chess instruction than what is offered by the Torres Chess and Music Academy at our Fremont Summer Chess Camp. Of course the schedule of the chess camp is another important factor in choosing the best chess camp for your family. The Torres Chess and Music Academy offers a flexible schedule to meet the needs of busy families. Students can attend week by week, day by day or even specific hours. In addition the Torres Chess and Music Academy has an exclusive deal with Achiever Institute in Fremont to provide after camp care for any students who cannot be picked up by their parents at the end of a session. In fact, since Torres Chess and Music Academy coaches also teach at Achiever Institute, these children may even receive some bonus chess instruction as well. Finally, location is very important in choosing the correct summer chess camp for your child. 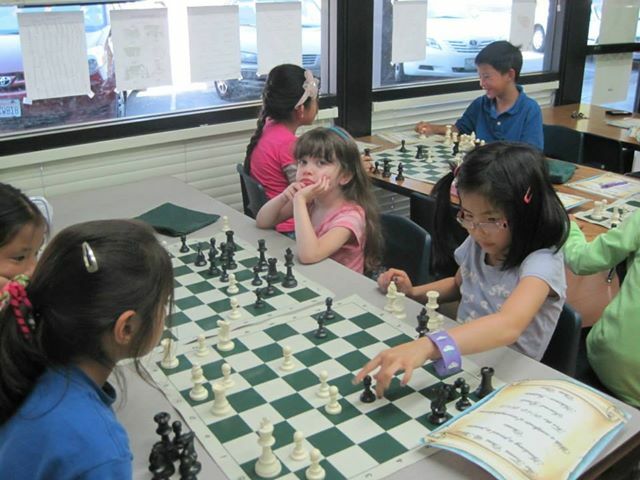 The Torres Chess and Music Academy’s Fremont chess camp is conveniently located at Mission San Jose Elementary School. This means that the Torres Chess and Music Academy’s Fremont Summer Chess Camp is the only chess camp in the United States to invite children from any school to come and train with the current National Elementary Chess Champions. Winning is contagious and the Fremont Summer Camp offers your child the unique opportunity to train with national champions. For more information on our summer chess programs please visit http://www.ChessAndMusic.com. On November 2, 2012 California chess super-star Ben Rood will leave for Maribor, Slovenia in order to compete in the FIDE World Youth Chess Championships. Ben Rood asked his family to attend for support as he battles the best eight-year-olds from around the globe. A family trip to Slovenia is an expensive undertaking and I am asking California chess players to help him out. Please come and participate in the Send Ben Rood to Slovenia scholastic chess tournament or give a small donation to the cause. The Torres Chess and Music Academy is donating all the awards for the tournament and all money raised will go directly to Ben Rood’s family to offset costs associated with Ben participating in the 2012 World Youth Chess Championships. Together we can make chess in Northern California better for everyone. SEND BEN ROOD TO SLOVENIA! 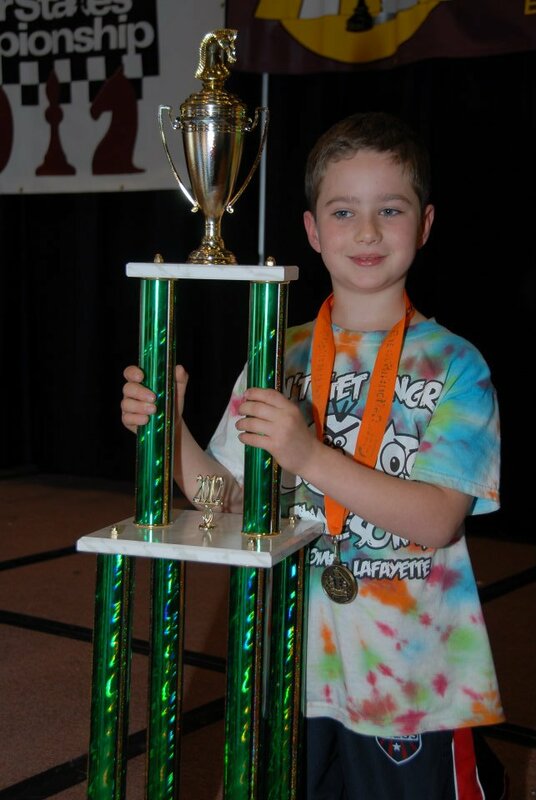 This November local super star Ben Rood will be representing the United States in the World Youth Chess Championship to be held in Maribor, Slovenia. Eight year old Ben would like to have his family there to support him as he battles the best eight year olds in the world for the title. All proceeds from this tournament will go directly to help send the Roods to Slovenia. Remember to bring cash as there will be a raffle for exciting chess prizes after the tournament. Trophies are awarded to top player(s) in each quad. All other players will receive medals. USCF Rated Quad Format: All players must be USCF members, and understand USCF tournament rules. To register for USCF pay an additional $17 for age 12 & under; $19 for age 15 and under; $25 for 16 to 24. 3 round Quad Format – Everyone plays 3 games against players in their quad. Quads are formed by making groups of four by rating. All sections will be Game in 30 min (each player). Sets and boards provided. Clocks will be provided, but players are encouraged to bring their own. Round Times: Check In begins at 1:45 PM. There will be no late registration. Information: Contact Chris Torres at Chesslessons@aol.com. The second day of the Fremont Summer Chess Camp was equally as successful as day one. Our beginner class, coached by Tans Hylkema, has already learned the most important opening, middle game and end game concepts. Tomorrow they will continue to work on spotting check mates and improving their tactics. 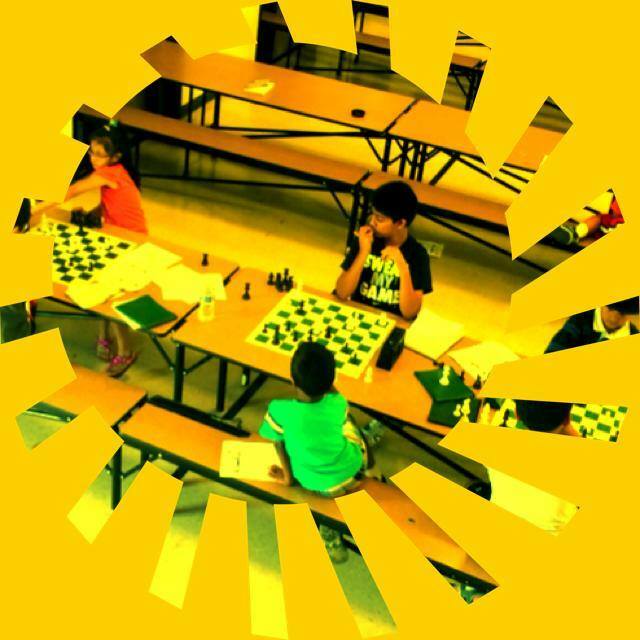 Today was the opening day for the 2011 Fremont Summer Chess Camp. Our summer chess camp features instruction by the Bay Area’s most successful chess coaches and is hosted at the home of the 2009 National Elementary Chess Champions from Mission San Jose Elementary School. Today’s chess lessons were conducted by such esteemed chess instructors as Francisco Anchondo, Tans Hylkema, Joe Lonsdale and Chris Torres. From 9:00am until 3:00 pm our camp attendees had an opportunity to study chess in the Mission San Jose style as well as take part in United States Chess Federation rated chess tournaments. 1. e4 e5 2. Nf3 f5 3. Bc4 fxe4 4. Nxe5 d5 5. Qh5+ g6 6. Nxg6 Nf6 7. Qe5+ Be7 8. Nxh8 dxc4 9. Qb5+ Nc6 10. Qxc4 Qd4 11. Qf7+ Kd8 12. Qg7 Be6 13. Nf7+ Kd7 14. The 2011 Fremont Summer Chess Camp at Mission San Jose Elementary School is run under the auspices of the Torres Chess and Music Academy. For more information send an inquiry to chesslessons@aol.com. Cupertino, CA, May 6-8, 2011: Cupertino five year old Milind Maiti was unbeatable at the 2011 United States Chess Federation National Elementary Chess Championships held in Dallas, Texas on May 6-8. Despite competing in a section with 294 of the best young chess players in the country, Milind won six games and had one draw which was good enough for a third place finish. Milind Maiti’s path to becoming the top kindergarten chess player began at the age of four when his parent’s noticed his talents at solving jigsaw puzzles. A couple months later Milind’s interest moved towards building with Legos. It was at this point that Milind’s father Chandan slowly introduced him to the game of chess which he enjoyed immediately. For one so young, Milind’s desire to improve was immense. His parents began signing him up for tournaments very regularly. When he entered school, Milind started attending chess classes run by the Torres Chess and Music Academy. In spite of being a kindergartener, Milind quickly was promoted to the “advanced” class at the Collins Elementary School Chess Team. It was in this Class that Milind met chess coach Chris Torres, president of the Torres Chess & Music Academy. Chris has taught several national chess champions and he immediately recognized Milind Maiti’s remarkable talent and began training Milind to use tactics with greater effect. 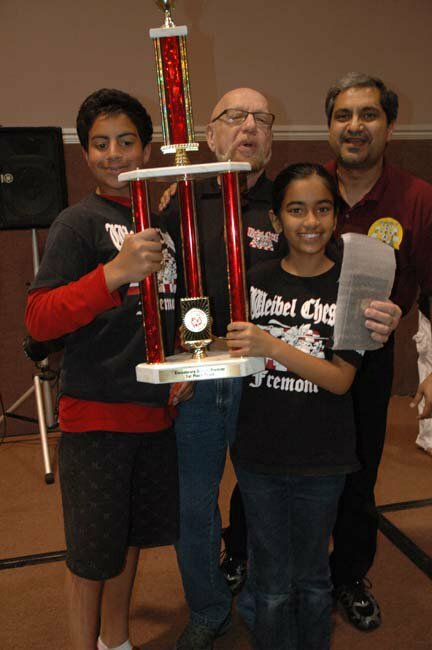 In December of 2010, Milind Maiti traveled to Stockton for the Calchess Grade-level Championship. Milind won all his games easily and became the Kindergarten State Chess Champion. Over the next several months, Milind’s chess continued to improve at an incredible rate. In the first week of April, Milind Maiti competed in the Calchess Scholastic State Championships Kindergarten division, held in Santa Clara. During this tournament, Milind once again achieved a perfect score. For his remarkable performance, Milind Maiti became a State Chess Champion for a second time. According to his coach Chris Torres, Milind is the only kindergartener in California history to be undefeated at the State Grade Level Chess Championship, the State K-3 Chess Championship and the National Chess Championship in the same school year. Chris attributes Milind’s successes to his remarkable talent, love for the game, incredible work ethic and to the support that his parents Chandan and Smitha Maiti provide. Chris Torres had other Torres Chess & Music Academy students to make him proud in the K-1 section. Chris’ other students included Ben Rood, from Walnut Creek, who tied for first in the individual competition. Five members of the Mission San Jose Elementary School team, Rishith Susarla, Chenyi Zhao, Soorya Kuppam, Jeffrey Liu, and Amulya Harish also placed third in the school competition.